The Blacktown hailstorm saw many companies and residents experience roof failure, primarily due to many of these roofs being made from asbestos. Asbestos over the years becomes brittle and weathered. Hailstones punctured the asbestos roofs, leaving gaping holes and causing asbestos contamination internally. Lidoran Roofing carried out a roof replacement for a distribution warehouse that incurred damage during the Blacktown hailstorm. 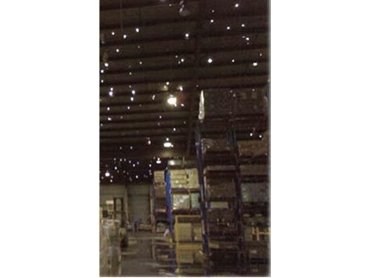 Lidoran Roofing operate a distribution warehouse that has six asbestos roofs on it. In December, the Blacktown hailstorm came down and destroyed the roof. Lidoran Roofing ended up with a building that had hundreds of holes and water pouring in. The warehouse was full of asbestos fragments and all staff had to be sent home as the area was deemed contaminated.